Cosecha is as a design store in which you can immerse yourself in discovering genuine and locally made arts and crafts. Cosecha is located in a 100-year-old monument of which's restoration was finalised in 2015 and lead by Aruba's Monumenten Bureau. The monument at Zoutmanstraat #1, in front of the Protestant church in Oranjestad and built in 1910, is an attraction in itself. Visitors with a bit of an interest for cultural history will want to get the feel of the monument and see original details inside. In 1910, seen from the porch deck, there used to be a view of the bay. It served as a government office for differente departments and housed the Archeological Museum for many years. PALM BEACH, Aruba, Sept. 29, 2015 /PRNewswire/ -- As one of the best-kept secrets on Aruba, Brickell Bay Beach Club & Spa is an adults-only resort hotel that encourages guests to enjoy the island's tropical scenery at their own pace. 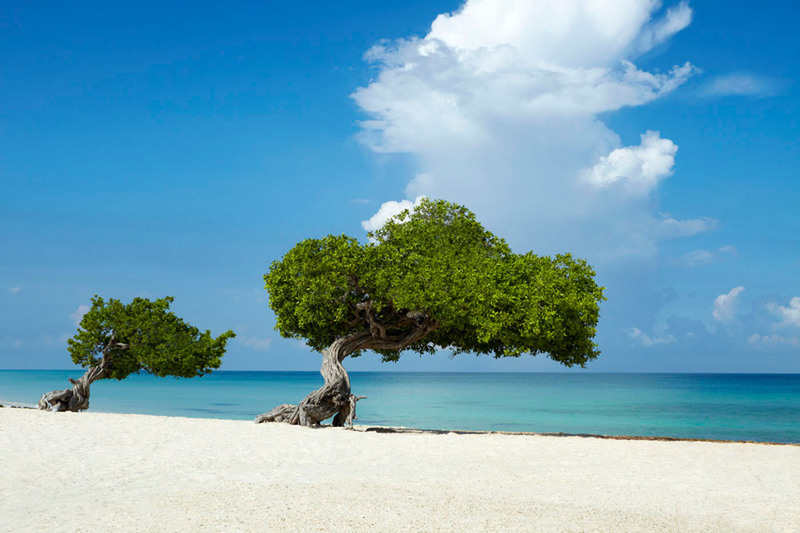 Aruba has seen an uptick in tourism recently, and one glimpse of the famous white sand beaches and azure sky explains why. Brickell Bay is pleased to help visitors to this Caribbean island nation have the time of their lives and make memories that will last forever. Brochure is available here. Don't You Get Sick of Aruba? I get to thinking about people dissing those who return to Aruba year after year. "Why do you go back to the same old thing?" "Why not try something new"? "Where is your sense of adventure?" All are valid points for sure. Heard Hawaii is beautiful, but unless I can afford first class plane tickets for my entire family, that 8 hour flight each way is going to keep me away permanently. ORANJESTAD, Aruba, Sept. 29, 2015 /PRNewswire/ -- The island of Aruba will once again host filmmakers and film enthusiasts from around the world during the fifth annual Aruba International Film Festival (AIFF), Oct. 7-11. Kicking off with a short film and Q&A session with actor Tyrese Gibson (from the Fast & Furious and Transformers franchises) and sponsored by the Aruba Tourism Authority (ATA), this world-class event is filled with international and regional premieres of feature-length and short films from around the world, special tributes, master classes, panel discussions and more. "With more than 90 on-island nationalities, Aruba's diverse culture lends itself as the perfect host for films of all genres," said Ronella Tjin Asjoe-Croes, CEO of ATA. "We encourage guests to fully immerse themselves in Aruba's dynamic and authentic culture, during this popular festival and all around our One happy island."